If you follow along on my Instagram and Snapchat (angelikajohns), you know that I’ve spent the past week staying with one of my past amazing clients Aliana (who I had only met ONCE before this) exploring and shooting in Los Angeles. 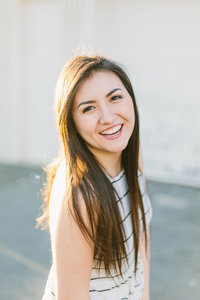 I aim to have personal relationships with all of my clients and through Aliana’s senior shoot we became friends, kept in touch after, and began joking about how amazing it would be if I came and visited her. Little did we know that we’d actually make it HAPPEN about a year later. Aliana kindly invited me to stay with her for the week, and during that time I had the opportunity to shoot and work with many sweet models and clients. I LOVED L.A.. I was only there for a week and could immediately sense the hustle and drive so many people had in the various creative industries, whether that be modeling, photography, film, etc. It was quite inspiring. Not only that, but my goodness is LA beautiful!! I don’t think I could ever run out of shooting locations there. While there I did seven shoots, and I’m so excited to blog the full sessions of them – but for now here are a few sneak peeks!! I arrived in LA on Monday at 1 am and got to bed, so my first shoot was the next evening on Tuesday night with the amazing Hannah at the Venice Canals Walkway!! The day after I headed to Topanga Beach with Katrina and Zach for an adorable couple shoot! This wasn’t an official shoot, but the next day Aliana, her friend Nicole, and I headed out to check out the new Alfred’s Tea Room and had a little mini shoot along the way. The next evening Rachel and I headed to Santa Monica Beach for her stunning session! LOVED meeting this girl. The next morning, Aliana and I woke up super early to shoot on the other side of Santa Monica for her shoot! I was so excited to shoot with this girl for a second time. That same evening, I headed over to Tess and Molly’s apartment to shoot some indoor and rooftop portraits. These two are so stunning, have the best taste, and were so sweet!! The next day, Ethan, Bethany, and I headed to El Matador Beach in Malibu for a gorgeous engagement session on the beach! I spent my last morning with the beautiful Natalie Sypkens!! We did a sunrise shoot and took photos for the LA based clothing company Between Ten.